As you all know I am fan of herbal and ayurvedic products and Patanjali tops the list when its comes to ayurvedic products. I have used so many Patanjali products, and also reviewed most of them but I am combining the review of all these products from Patanjali in this one single post for your convenience. Below is the list of some of Patanjali Ayurvedic Products for Skin & Hair. Patanjali Aloevera Gel is best useful in rejuvenating, nourishing, beautifying and glorifying skin it helps in retaining healthy skin. This Patanjali Aloe Vera Gel does what it says. This has become one of my favorite aloe vera gels and have been using it regularly since few years. I keep trying different gels but always come back to this whether I have to use it for my acne, oily skin, sunburn, or any other skin problems. I always use this gel for my different skin problems and it has never failed in satisfying me. Check the full review of Patanjali Aloe Vera Gel. Patanjali Kesh Kanti is a herbal hair care shampoo and cleanser produced by Patanjali Pharmacy of Baba Ramdev. It is useful in dryness and roughness of hair. Just like I love Patanjali Aloe Vera Gel, I love this Patanjali shampoo. It balances my rough dry hair by giving them proper nourishment and has not given any side effect till now. I face dandruff problem very easily and if I use this Patanjali Shampoo regularly, the chances of dandruff are reduced to an extent. 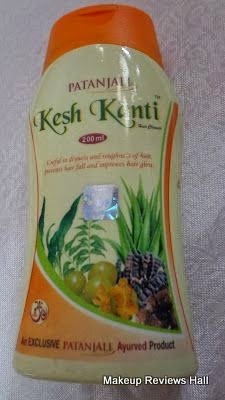 Read the complete review of Patanjali Kesh Kanti Hair Cleanser. Divya Kanti Lep best useful in skin disorders like pimples, acne, wrinkles on face, loss of shining & luster, darkness, etc. I was very hesitant to use this Divya Kanti Lep in the beginning since I don't like using face packs at all because they are so messy and very difficult to clean. But somehow I was getting new pimples unexpectedly and after hearing good results of this Kanti lep on acne and pimples, I wanted to give a try and since then I use it when I get a pimple or two and I am in the urgent need of clearing it. However I still use it very rarely because its messy and very difficult to clean. Read full review of Divya Patanjali Kanti Lep. Patanjali Dant Kanti Dental Cream Toothpaste. Dant Kanti Dental cream takes very care of your oral health. The cream contains flouride within permissible limits. Indication: It is very much useful in making you free from Gingvitis, Toothache, Bad breath, Spongy & Bleeding Gums. Patanjali Dant Kanti Dental Cream is all extracted from herbal ingredients. Use Patanjali Dant Kanti Dental Cream and make your teeth strong, white and healthy. It also relieves you from the toothache that occurs due to any reason. One thing you will always find in my washroom is this Patanjali Toothpaste. My family is little hesitant to use this toothpaste because of its taste and colour and they always wonder why I use this so regularly. Since it cleans my teeth nicely and keep teeth problems at bay, I don't mind its bad taste and colour. Moreover I have got used to it now, so its no more a problem for me now. Read full review of Patanjali Toothpaste. Divya Sanjivani Vati is the perfect medicine to combat cold, fever and flu. It helps strengthen the immune system so that there will be no recurrence of the sickness. I frequently face the problem of cough and cold specially in winters and I was sick of taking antibiotics so frequently. It was then I discovered this Sanjivani Vati and I use it more frequently than those allopathic medicines. Read complete review of Divya Sanjivani Vati. Anti Bacterial Herbal Hand Wash. Protection from germs. I use to use this hand wash a lot very much initially but it is so simple that I get driven away by other brands with fancy packaging, refreshing fragrance and beautiful color. I still use it sometimes but very rarely. Read the full review of this Divya Hand Wash. Useful in cough, cold, mild laxative, antiseptic and nutritive tonic. I drink lemon honey in winters as it is said to be a wonderful drink for so many things including weight loss. Until few years back I was in search of an organic honey but was not getting a any in organic form neither online nor offline and it was then I bought this Patanjali honey which claimed to be in purest form. But now I have switched to other organic honey available online. 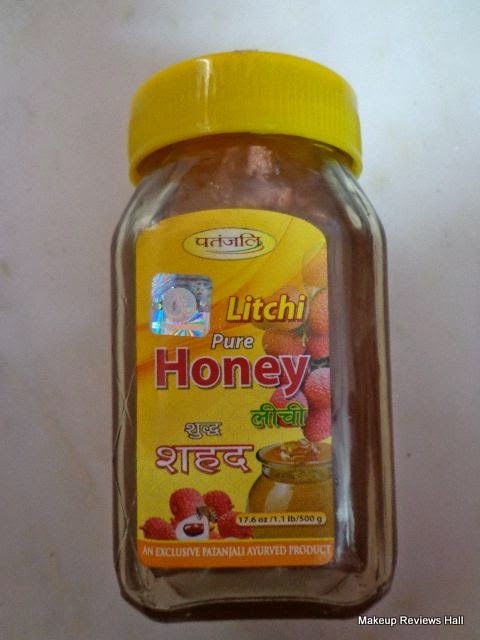 Check my full review on this Patanjali Honey. Patanjali Crack heal cream is herbal remedy for Cracked Heel, Foot and Fingers. I got this Patanjali Crack Heal Cream for my mother and she likes it somewhat. I would be reviewing this in detail very soon on behalf of my mother. Below is the list of some other Patanjali Products for Skin & Hair with their details. I would be reviewing these products once I use these. This herbal formulation is enriched with neem leaf extract, tulsi, and aloe vera. Neem kills acne causing bacteria, tulsi removes impurities caused by pollution, and aloe vera moisturises and rejuvenates skin tissues. It's a soap-free, herbal formulation, which effectively fights bacteria, pollution and removes oil. This shampoo is useful in treating dryness and roughness in hair and scalp. It's a naturally fortified protein shampoo, which is milder chemical based shampoos. It has a pleasant and a natural fragrance. This shampoo is known to prevent hair fall and improves its shine. Useful in dryness & roughness of hair. Prevents hair fall and improves hair shine. Made with natural ingredients like, Rosemary oil, Honey, Neem oil, Tea tree oil, Nilgiri oil, Amla, Shikakai, Methi and Tulsi extracts. It not only prevents hair fall, also removes dandruff, dirt from hair and scalp. Use the pure and effective Baba Ramdev Patanjali Gulab Jal, the drops extracted from rose petals. Baba Ramdev Patanjali Gulab Jal has got multipurpose uses. This is basically a skin care product. Rose water or Gulab Jal are also used for Normal Eye Drops that relieves you from any sorts of eye irritation. Used for making face paste that is used to improve the skin condition. Made from the natural extract of Orange Peel, Neem, Tulsi & Aloe Vera which cleanse gently, nourish and revitalize the skin tissues, to make complexion fresh, smooth & beautiful. The Aloe Vera Mint Face Wash instantly whisks away everyday impurities and tan, without stripping the skin of natural moisture. It's formulated with detergents, chemical preservatives and artificial fragrances. And this 100% natural face wash is specially designed for skin tones that tend to tan easily. The aloe vera in it hydrates and accelerates skin repair, while the mint is known for its calming and cooling properties. Neem-Tulsi face wash is a soap-free herbal formulation. Its gentle cleansing action controls moisture and natural balance of skin. Neem & Tulsi kills germs, while Honey & Aloe moisturize and rejuvenate the skin tissues, to make complexion fresh, smooth and beautiful. It also helps to prevent pimples. Patanjali Tejus beauty cream helps to Glow skin and reduces Wrinkles. Patanjali Tejus Anti Wrinkle Cream its leaving skin soft, supple, resilient, and appearing years younger. Divya Kayakalp Vati it is best for Acne and Pimples and Skin Disease. The main ingredient is henna that gives your hair a natural colour, but the product is also enriched with 11 essential herbs, such as amla, reetha, neem leaf, tea leaf and methi seeds etc. They improve hair growth, reduce hair fall and keep your scalp cool. It naturally conditions and colours hair. It doesn't contain ammonia and other harmful chemicals. Prevents aging & dehydration of skin. Protects skin against winter dryness & makes skin soft, beautiful and glowing. Useful in skin disorders, arthritis, constipation, acidity, cholesterol, ulcers, assist weight loss and increases immunity. Useful in immunodeficiency, hyper acidity, eye, skin diseases and delays aging. Lauki, amla juice is proved to have medicinal value that can cure many ailments such as diabetes, urinary disorders, aid weight loss and digestion. Patanjali Soaps comes in following different variants. Divya Patanjali Herbal Goumutra Kanti Body Soap Useful in removing dryness and roughness of skin. 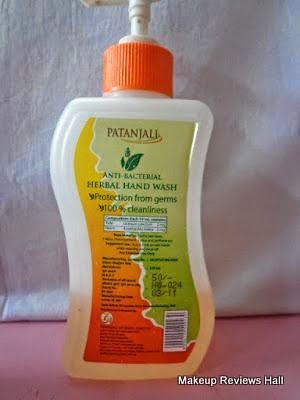 Patanjali Aloe Vera Kanti Body Cleanser Soap, Divya Patanjali Kanti Aloe Vera Soap by Patanjali Products. This soap is suitable for all skin types and does not leave a sticky residue behind. It also contains various skin-friendly herbs, and gently lifts dirt and oil from your skin. Useful in rejuvenating, nourishing and glorifying the skin. Useful in removing dryness & roughness of skin. Nourishes your skin, thereby freeing it from roughness and dryness. Enjoy a refreshing and rejuvenating bath with Panchgavya Body Cleanser. It has got all the goodness of Aloe vera, Neem, Ama Hladi, Giloy, Tulsi, Haldi, Manjistha, Amla and Gaumutra. Divya Somya Haldi Chandan Body Cleanser (Soap) Body Cleanser that glorifies & protect the skin. Patanjali Oil comes in following variants. Divya Badam Rogan specially good for dry skin in winters & good for heart & relieves constipation. Made from the mature & fresh coconuts, Patanjali Double Filtered Coconut Oil is a premium cooking and consumer oil that is pure and non-RBD. Patanjali double filtered coconut oil is pure and without any preservatives offering you the great taste, aroma and goodness of Natural Coconut Oil. Divya Kaya kalp tail is best Oil for Skin Problems, Cracks and Burns. These were some of the Patanjali Products list, some of which I have reviewed and some only contain the details. I have tried listing many products from Divya Patanjali which are specifically meant for skin and hair but this list does not covers the whole range. You can check Patanjali site for the complete list. hello to all of you my name is Vishal Singh, I am 22 yrs old and I am a student. I only want to thanks patanjali for its great products. They are very useful especially Divya kesh taila, badam rogan and kesh kanti shampoo i got my hairs back on my scalp only because of you thanks a lot patanjali. Earlier i was usung colgate and other branded tooth paste, but my teeth always remained yellow.My father once bought dantkanti tooth paste, i liked it very much for its super taste and result.My teeth turned bright shining white after using dantkanti.Now i carry 2- 3 tubes of dantkanti when i go to USA.My cousins in NJ, USA also insist that i must bring dantkanti for them whenever i am back from India.thank u baba ramdev for introducing such a nice and superb product. Junior dantkanti is also a fantastic paste you must try for your kids. Really greatful to Ramdevji for this great initiative of introducing pure products, a revolution for the humanity he has brought. Thanks babaji. Thankyou Ramdev babaji for this revolutionary initiative for humanity you have brought by introducing pure products. For past six months I am using around 14 products, I am entirely satisfied with the quality and price. We need more patanjali shops and also people should migrate towards such an awesome Made in India product. I am a resident of faizabad UP. Since last 7 months i have consulted 3 doctors for my pimples nd freckles issue. After spending lots of money i went to the consultation of a doctor in patanjali outlet. Belive me such a drastic results i have never seen before. Each doctor was suggesting me skin issues take more time to resolve. But the patanjali products has removed the pimples in 15 days. Yet the marks r taking time to remove but no new pimples now. Thanks to Ramdevji for such facilities in small towns. @ Vandana Sarkar - First things first, you'll need to go for a body detoxification. Start having Patanjali Amla and Aloevera juice every morning & evening on empty stomach. Wash your face with a patanjali face cleanser twice daily. You can apply patanjali gel on your face in the morning or at night and keep it for 5 to 8 hours. Do kapalbhati pranayam every morning for a few minutes to get rid of impurities from body which later break out into pimples. As much as possible, eat fresh and warm food, more fruits/vegetables, less oil/red chilly, you can go for patanjali masala which will not only cater to your tastebuds, but also will enhance your health and digestion. Eat heavy breakfast, moderate lunch, very light dinner. Drink lots of water (esp. early morning on empty stomach). Don't drink water immediately before or until 45 to 60 minutes after eating breakfast/lunch/dinner. In a few days time, your pimples will not only go away, your skin will regain its lost shine. Thanks for your advice right now i am taking Patanjali Kayakalp Vati for acne issue. Patanjali products are amazing.I always use patanjali products.It help us to keep our skin glowing .And to keep our body fit.I always shop patanjali products online and it save my time. I have many dark spots on my face I try lots of medicines and facial cream but it didn't work.Then I came to know about Patanjali cream and I tried for alovera cream of Patanjali and result of this cream is very good. I buy Patanjali care products online,because online shopping save time. Hi ,I am living in Australia. 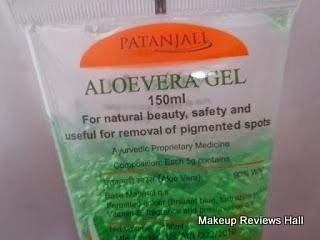 I have tried pathanjali aloevera gel yesterday for my pimples. All pimples are gone by morning. Spots are fading away. Toothpaste quality is too good. there is no compression of other toothpaste but company member not serious for this product. in the middle of toothpaste there is no pest. In the middle of toothpaste totally vacuum. there is no toothpaste in the middle of the tube. there is totally air in this product. I am suffering from Psoaraisis for the past two years only in my head. The head skin is white and scalp are coming daily in patches. Help me. I m manish from delhi .. i m using patanjli Honey but its quality is very bad like suger melt in water only i can show u picture also... so i requste to ramdev baba please improve its quality... i m also using pure honey as compare to it. Patnjali Honey is totly bad..
Patanjali Products are the best.... .I always use patanjali products. It helps me to keep my skin glowing & fit. Really his products are working is it?? Please tell me!! It is not a herbal product at all. Full of chemical in the name of herbal. My friend used the shampoo and her hair has became so rough and increased hair fall. Honey is full of sugar. Thank you for adding detailed list of Patanjali Products. I am looking for Patanjali Chandan Powder..